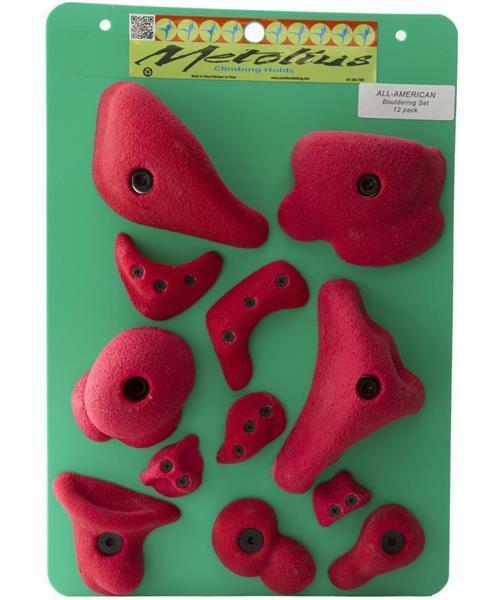 The Bouldering Set is an excellent addition to any home wall. Each set of 12 contains: 1 start/finish jug, 3 Modular bolt-on holds, 3 Micro bolt-on holds, 3 Screw-On Hand Holds, and 2 Screw-On Footholds. Available in the Greatest Hits set.